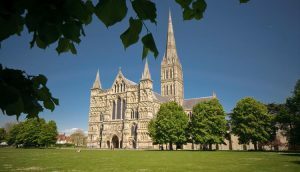 Are you located in Salisbury or nearby area? Do you own a business in this locality? Are you tired of multitasking? Do you need help with management and Accounting? Are you looking for a professional accountant or auditor? Well, then worry no more. We at Miranda Management and Accountancy Services Limited will help you out with your accounting related issues. We have all the highly qualified and experienced accountants in this area working in our firm. MMAAS team assure you to provide the best management and accountancy services in this specific area. We excel in dealing with the most difficult scenarios with ease. Basically we are one stop destination for all your accounting needs. Our accountants spend a lot of time to understand your business and its requirements. The accountants in our firm are highly efficient in working in tremendous pressure. But still we never compromise with the quality of our services. We have an excellent track record for delivering quality services within the deadline. Letting an inexperienced person deal with your finances can highly affect your future turnovers. We value both the time and money of our clients. Hence, we work really hard to provide the best.